re•fresh verb, give new strength or energy to; reinvigorate. you may need a spa for your soul. refresh! 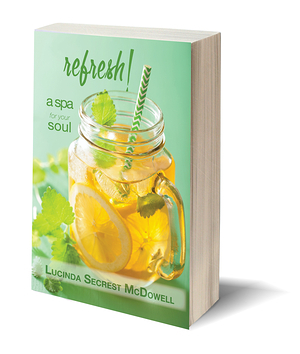 - a spa for your soulis filled with creative ways to look at life through the lens of God’s love and care. Jesus will cleanse your tarnished past, quench your thirst for more, and offer refreshing depth to your spiritual life. He is the One who knows you best and loves you most. You can balance the constant demands of everyday life with your soul’s hunger for meaning.